The control and eradication of bovine TB is a critical risk management initiative that works to ensure TB does not pose a threat to the health of our cattle herds, those working with them or the viability of our dairy and beef export industries. DairyNZ is the majority industry investor in TBfree’s national TB control programme and this is the single largest investment from the milksolids levy. 2. Maintain period prevalence below 0.2%. Movement restrictions (applied to cattle and deer from some herds and locations). To achieve the goal of eradication of TB from New Zealand, the TBfree programme is introducing new ways of running the TB testing and pest control programmes, based on risk. The changes, outlined below, will be phased in over time. Movement – the number, source and type of movements into the herd. Infection rate – areas that are hotspots of TB infection. How is it spread? What are the health risks? How does it affect the economy? 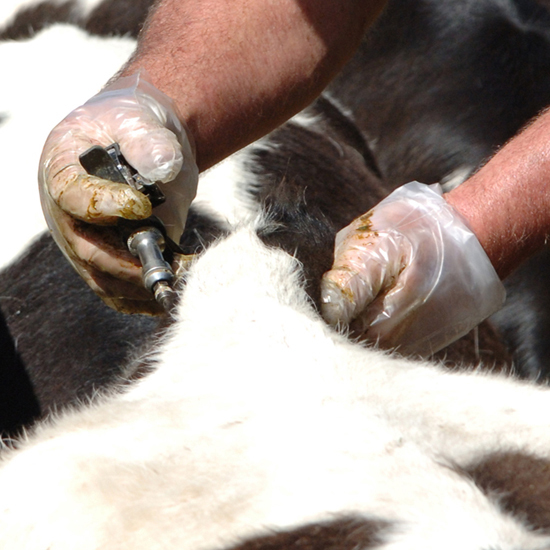 Find out everything you need to know about Bovine TB. TBfree's National Pest Management plan to tackle TB set from July 2016. The NAIT system links people, property and animals, and enhances New Zealand's ability to respond quickly if there is a biosecurity incursion. The TBfree and NAIT (National Animal Identification and Tracing) programmes are wholly owned subsidiaries of OSPRI which was formed on July 1, 2013.